Last night of my trip! 😦 But, just before my early night before my early rise tomorrow as I prepare to return to the motherland, a quick update on one of my favourite cities on the journey so far – the lovely Plovdiv, one of the world’s oldest cities. 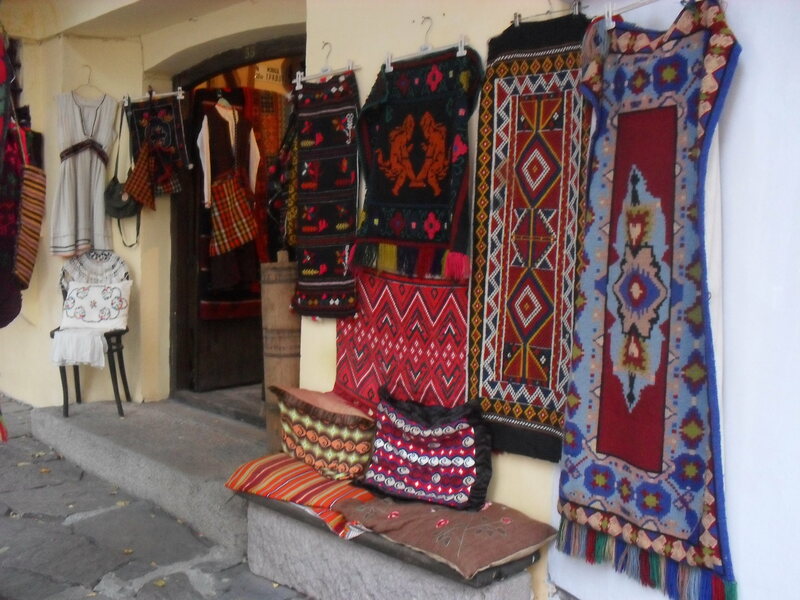 Shop in the old town. I was dreading the 9-hour bus journey. How does it take 9 hours to travel a mere 200 miles?? My question was later answered when we went all the way up to Sofia, stopped there, and went south to Plovdiv. 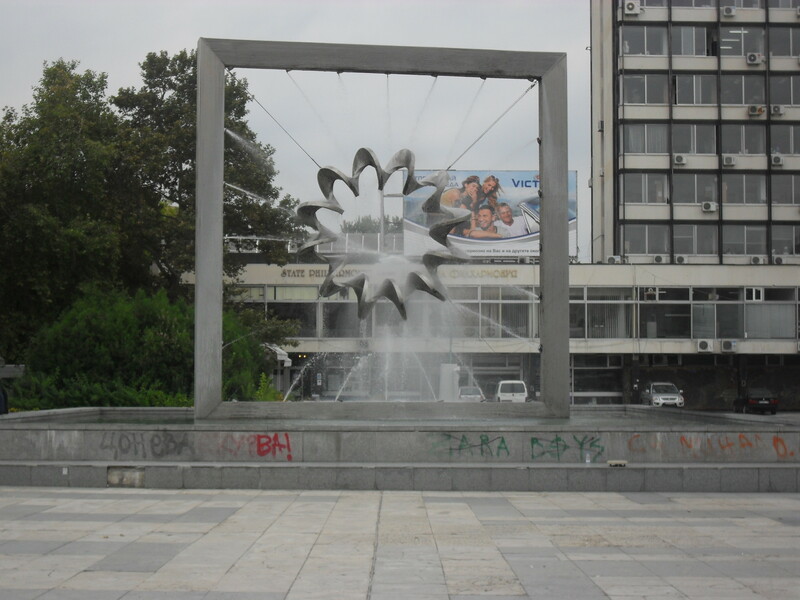 In any case either Sofia and Plovdiv aren’t very popular among Greeks or the journey length is offputting, as for the first hour of the journey from Thessaloniki to Serres I was the only passenger, and even after we’d stopped at Serres there were only 4 of us. Unfortunately for a 9-hour journey the loo on the bus didn’t work, so imagine my joy when we arrived at a duty-free emporium on the Promachonas/Kulata border crossing and were given 15 minutes to luxuriate in all the cheap stuff! And imagine my sorrow when, after queuing for an age, it transpired there was no toilet paper in any of the cubicles. But it’s ok, right? There’s a massive duty free store next door with hundreds of different types of chocolate and perfume; doubtless they’ll have some useful essentials for a long car journey, right? Right?? …wrong. I searched long and hard, and eventually sought the help of an assistant, but there was no loo paper. There were not even paper tissues. We were a mere third of the way through the journey, with potentially no further toilet break stops. So, faced with several undignified possibilities, I settled for the least humiliating one. Sorry, unused notebook pages – you were destined for better things than that. 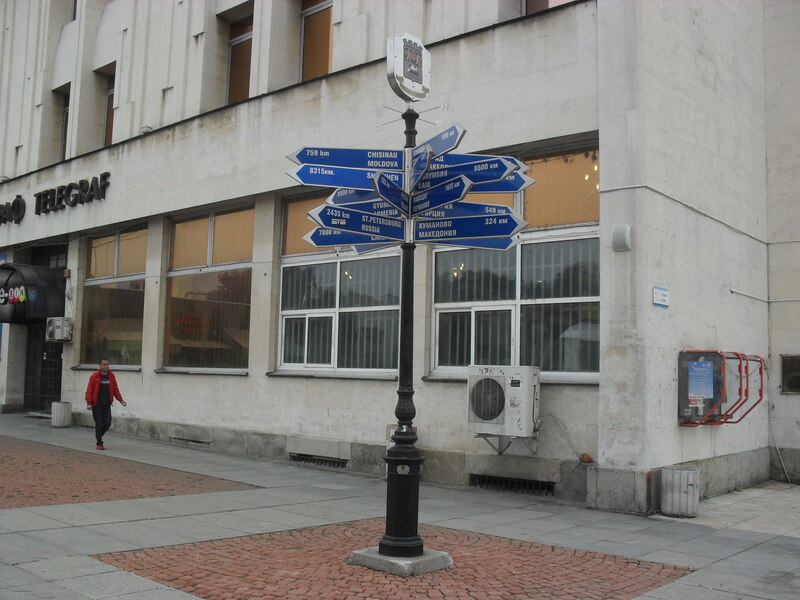 How far is Plovdiv from everywhere? Often not as far as you’d think. 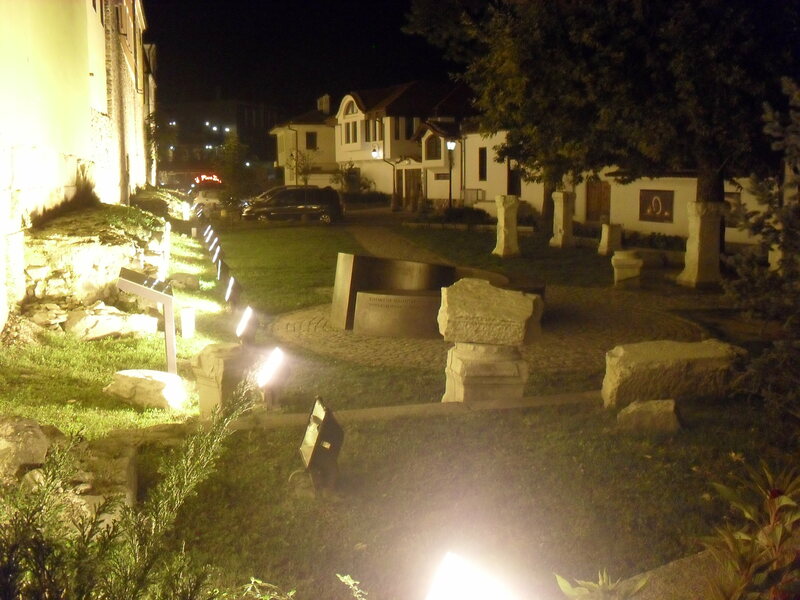 My greeting from Hostel Old Plovdiv. 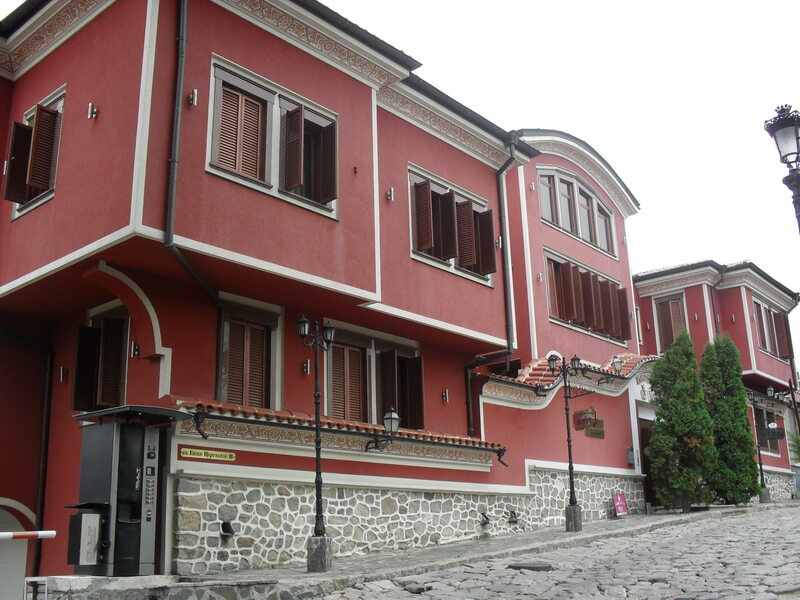 Hostel Old Plovdiv had a 99% rating overall on Hostelworld when I booked it. It was also relatively cheap for a private room, and – not having had any privacy since Dubrovnik 2 1/2 weeks earlier – I’d shelled out. 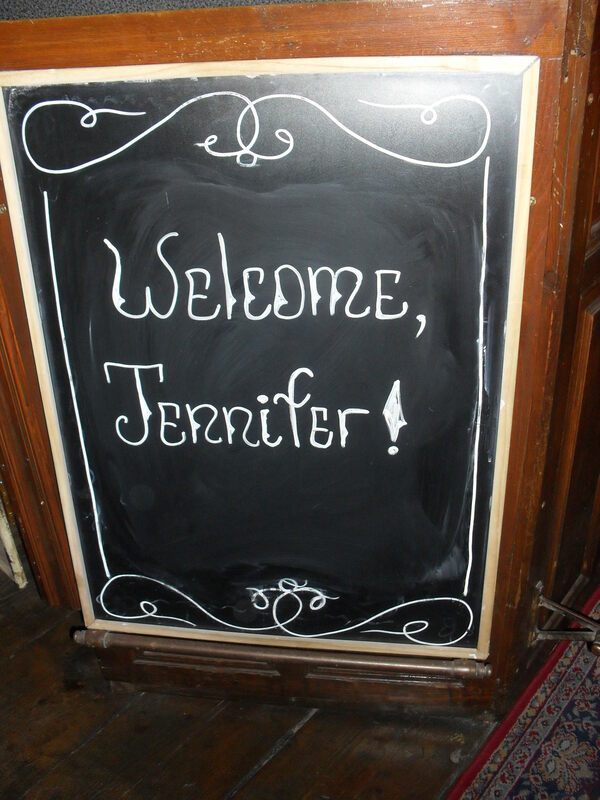 Happily it was well worth the money; not only did the hostel greet those who’d booked in advance with a blackboard bearing their name (see above), but the room was huge. 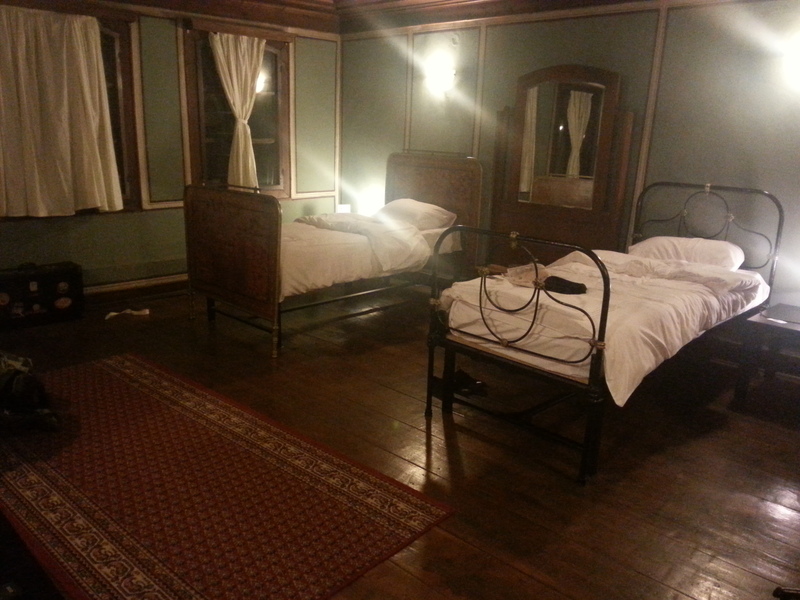 Two beds, a TV, a wardrobe, several armchairs – hostel heaven. The shared bathrooms were good too; clean and with an enormous walk-in shower which stayed warm the entire duration of my shower. A rarity over the course of this trip. My plan for the next day involved joining the walking tour. Except I overslept, arrived late and missed it. After having a brief look around the Tsar Simeon Gardens by the main square to try and find the walking tour – instead finding a number of old men playing chess, as in Sarajevo – I gave into my evil capitalist urges upon spying a Costa and had a toasted sandwich and a Carling fruit cider. Personally I think British Costas could learn a lot from Bulgarian ones regarding the provision of alcohol. 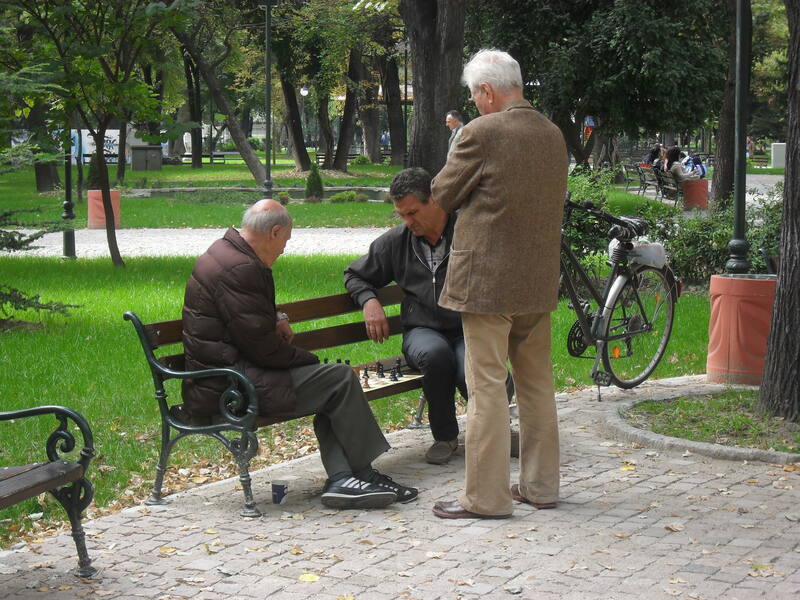 The Plovdiv Outdoor Chess Society. I remembered as I finished off my drink that Chelsea were playing Arsenal in half an hour, so decided to try and find a place showing the match. Fearing at first I’d have to step into the murky world of Bulgarian casinos (which are plentiful), I saw from a distance a TV screen by some tables and chairs which appeared to have the Premier League logo flashing up. SUCCESS. On closer inspection these items belonged to a restaurant called Godzilla, which featured a protruding T-rex on the shopfront, so I ordered a (very nice) strawberry milkshake and tried to find out whether Chelsea would be shown after the Man United game. They didn’t seem to understand me, but after some tense milkshake-sipping the Chelsea game appeared, and we won 2-0. I was the only spectator who remained for the entire match, but men would frequently hover to find out what the score was. Probably for gambling-related reasons. Uncovered section of a Roman stadium. 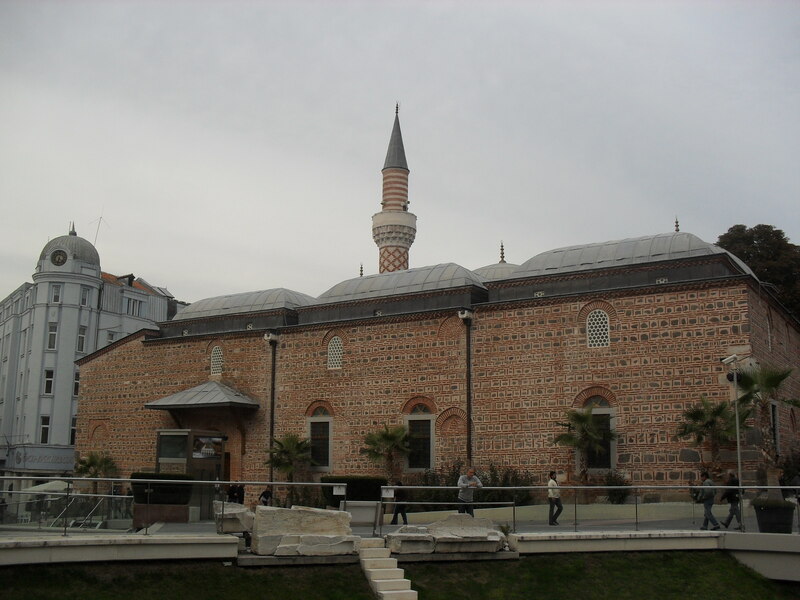 There was a random excavated section in the middle of the main street, near the Dzhumaya Mosque and the old bank, with what looked like part of a Roman amphitheatre. It was actually one end of a Roman stadium. 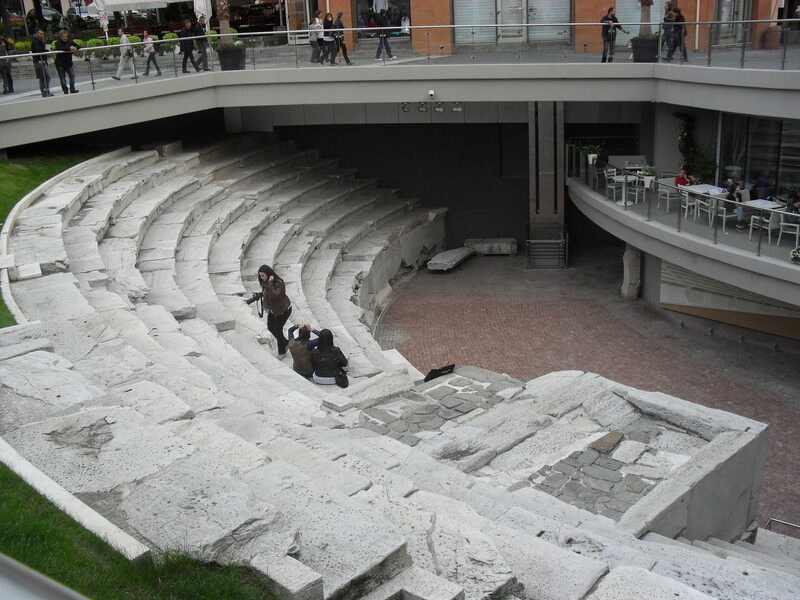 Stadiums were pretty rare, and proved that Plovdiv – or Trimontium (three hills) as it was formerly known – was really important to the Roman Empire. Unfortunately the modern street had been built over the top, meaning the remainder of the stadium had to stay hidden, but the section that was uncovered was open to the public and free to visit. 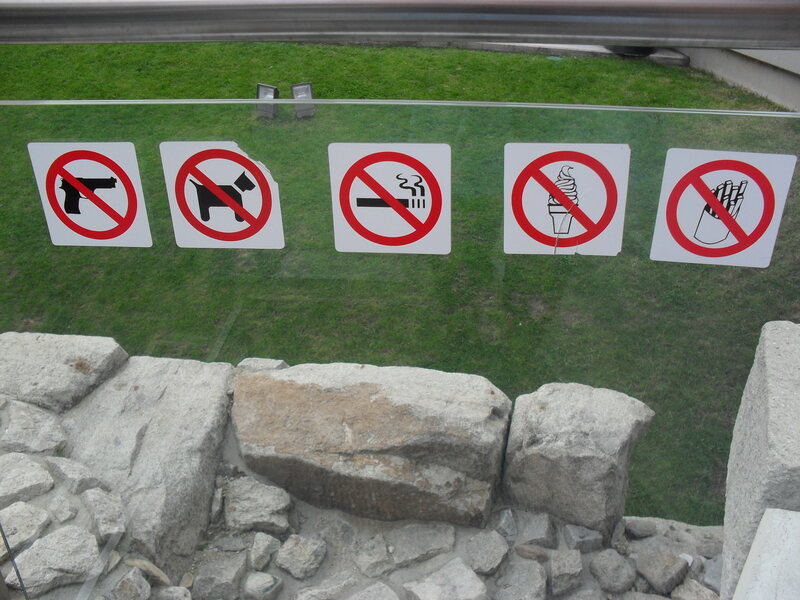 I was mildly alarmed by the listed restrictions of what one couldn’t take down to the site, however – among the typical ‘no smoking’ and ‘no dogs’ restrictions, there was a ‘no guns’ sticker. Do Bulgarians usually take guns to Roman stadiums? Do they usually carry guns in public?? Questions. After a not very busy day, I returned to luxuriate in the privacy of my room, and found some unexpected ruins right next to the hostel. 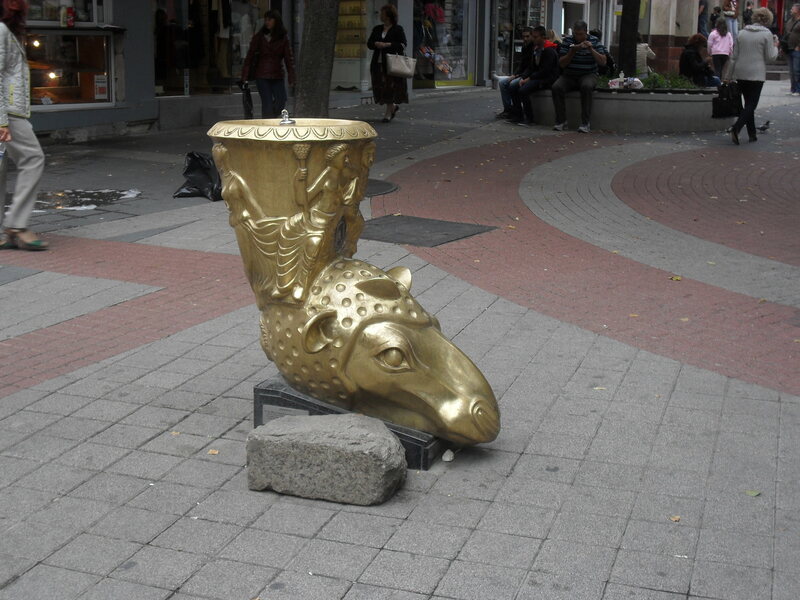 Standard Plovdiv Old Town lyf. I decided to have dinner at the Antico Restaurant, as recommended by the hostel. It was outdoors, at the bottom of the hill where the Assumption Cathedral was, and more or less bereft of customers. 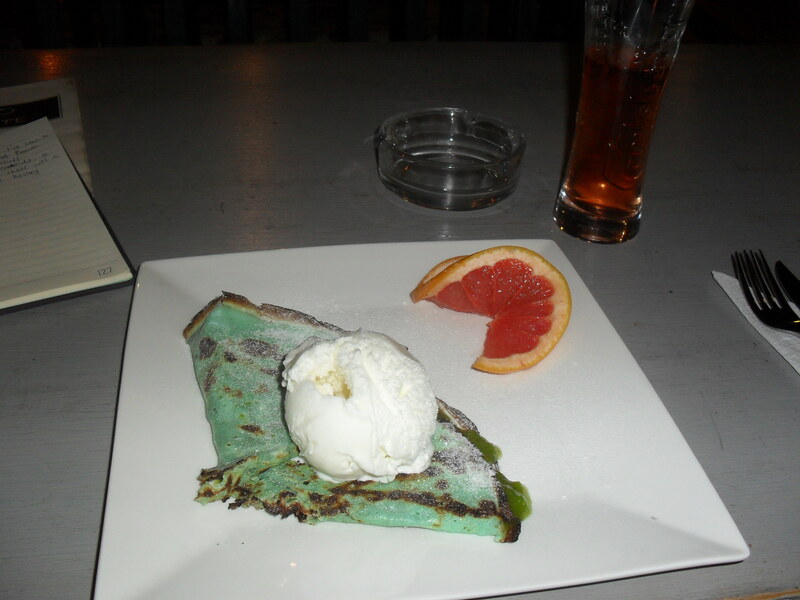 I had a salmon risotto, a blackberry Somersby cider, and- out of curiosity, having heard it mentioned on Come Dine With Me before (#culture) – a crepe Suzette for dessert. A blue pancake really shouldn’t taste that good. 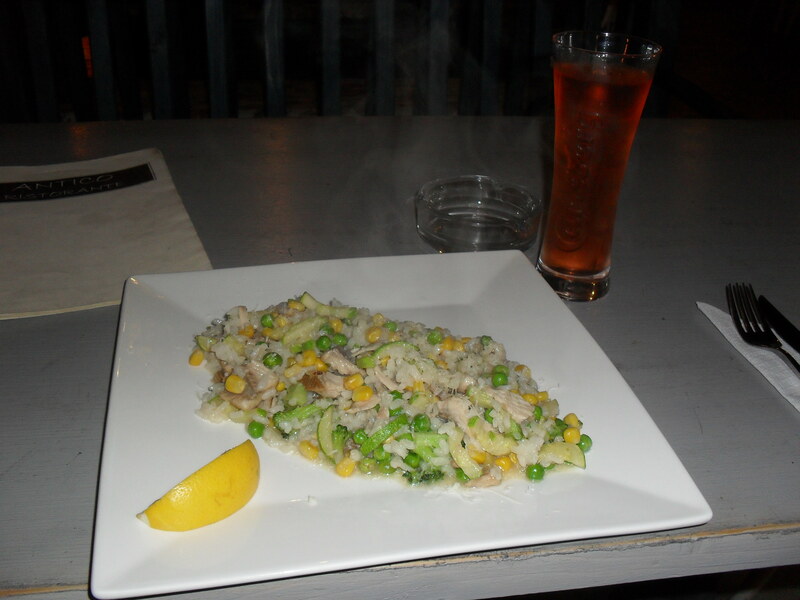 The whole meal cost 16 lev (£6.50) – Bulgaria is, as you might expect, super-cheap. Finding nothing special there, I returned to the more familiar area near the Costa, but decided – still having an hour to kill before the tour began – to try and find the Clock Tower hill (Sahat Tepe). 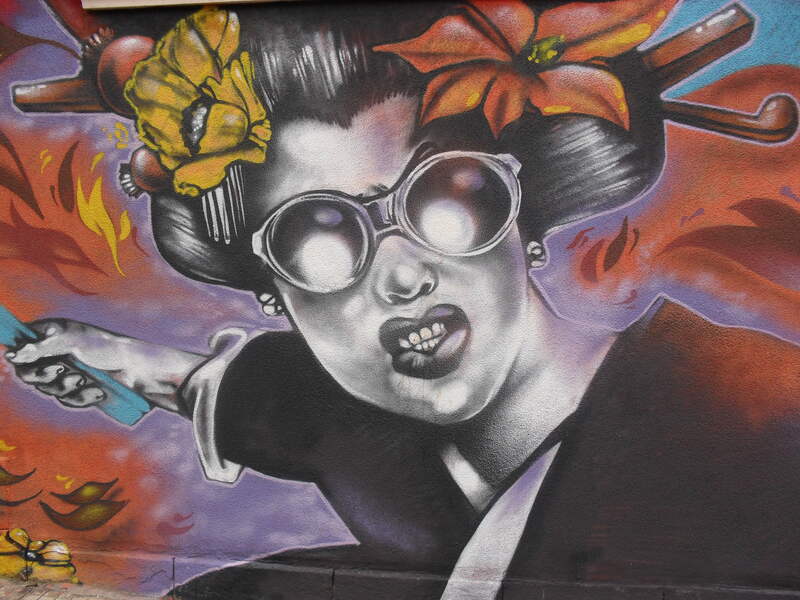 As I headed down the back streets in search of it, I found instead an explosion of street art. 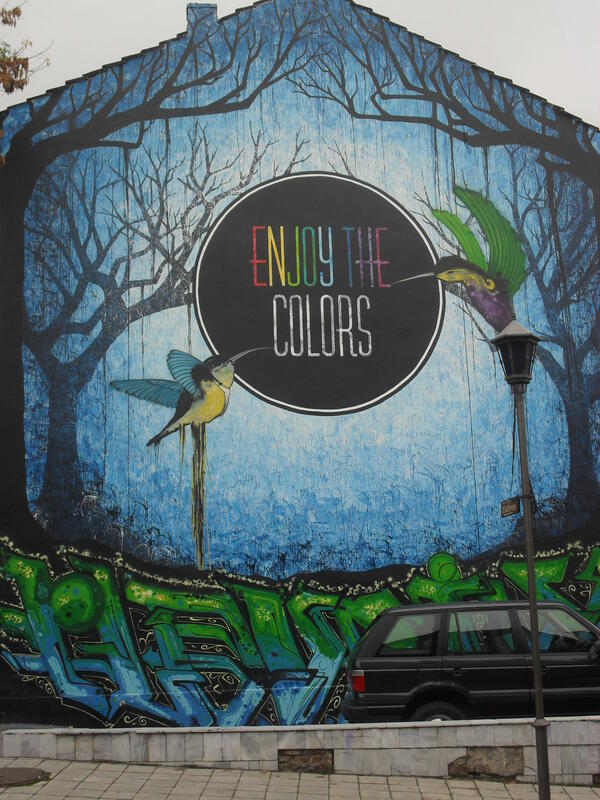 The walls were absolutely smothered in surreal, colourful and intricate paintings; there were so many that around half of my blog on Balkan street art comes from this one street (seriously, check it out – they’re awesome). Even the rocks at the foot of the hill were adorned with famous faces. If you’re ever in Plovdiv, this is something to see: a modern riposte to the classically beautiful early 20th century buildings and the ugly, functional colossi of the Communist era. The Clock Tower seemed sad and lonely at the top, and there was a group of local youths lurking while smoking and looking rebellious, but the view of some of the other hills and the rest of the city was lovely. Incidentally, the ‘three hills’ moniker bestowed by the Romans is wrong – there were seven hills until the small one was blown up to be used for building materials. See the tall thing on the top of the hill on the right in the picture below? That’s the Russian soldier, an old statue to thank the Russians for saving them in one of the World Wars. 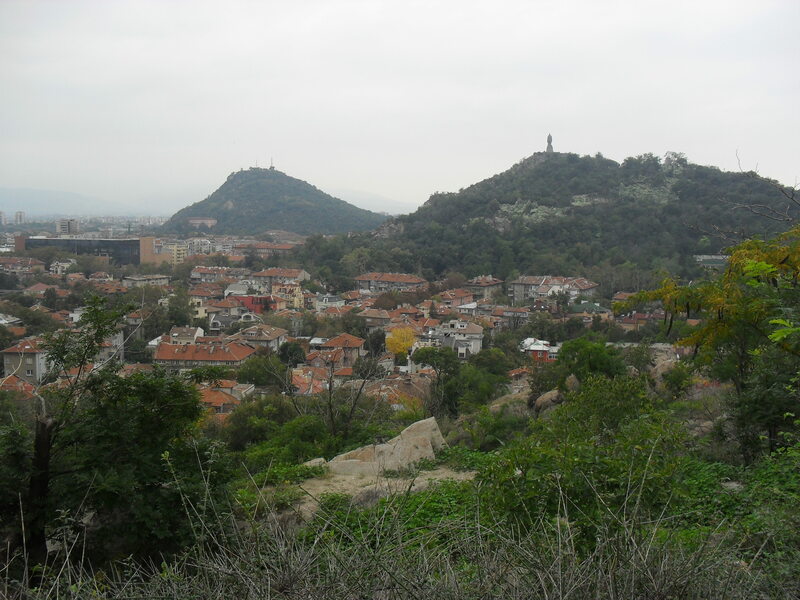 View of two of the other hills around Plovdiv from the top of Sahat Tepe. There was still another 20 minutes before the tour, so I returned to the gardens and ventured deeper inside them, discovering a huge double-sided canvas displayed within. I suspect this sudden burst of street art colour may be linked to Plovdiv’s bid to become European Capital of Culture 2019 (there’s a PLOVEDIV sign on one of the hills on which the Old Town is perched to commemorate this). 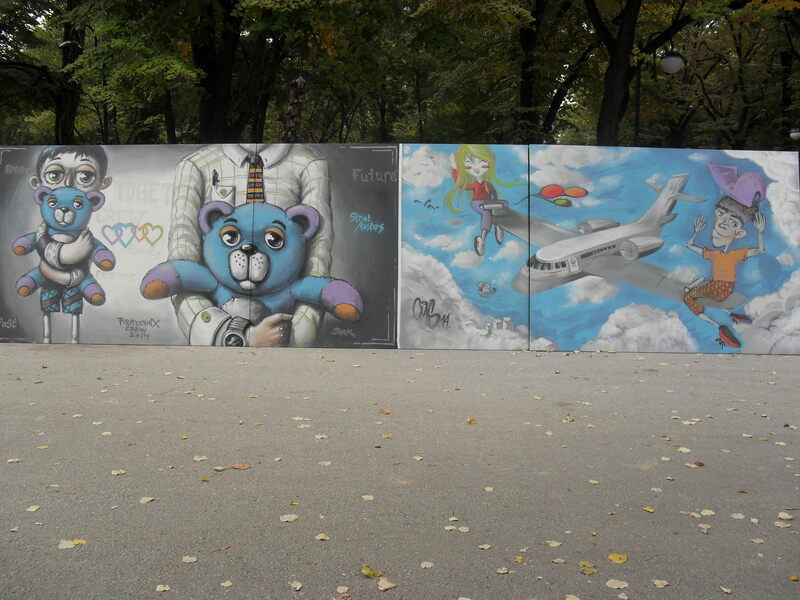 Unexpected canvas art in Tsar Simeon’s Garden. By now it was nearly 2pm and I was at risk of missing the walking tour AGAIN, so hurried over to the Post Office and, to my relief, they were still there. I love free walking tours because they teach you so much more than you could hope to find out just by wandering around aimlessly, and it’s more fun hearing the story told by a guide than reading it on Wikipedia later. 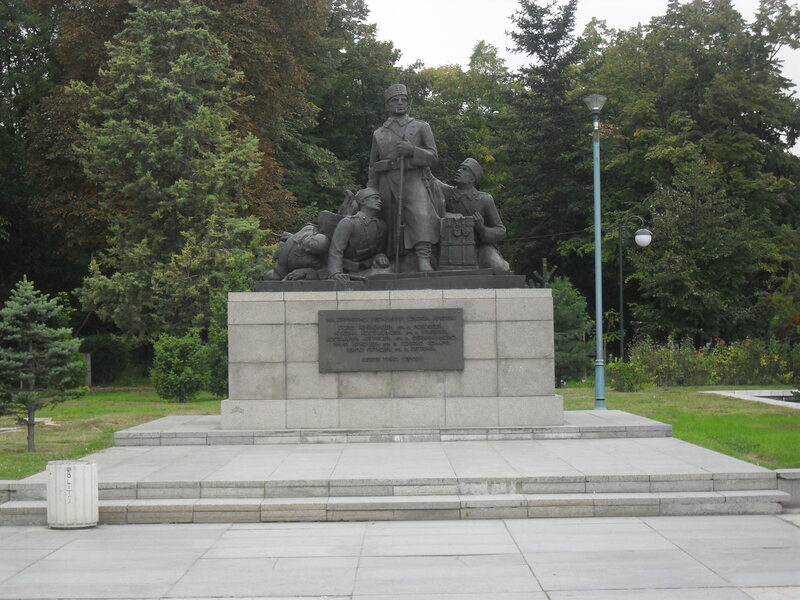 Would I have learned the story of the Dutiful Soldier, a pre-Soviet monument built to remember a guard whose dedication to his job was such that he refused to leave a burning building because it was his duty to stay until his supervisor told him to leave? 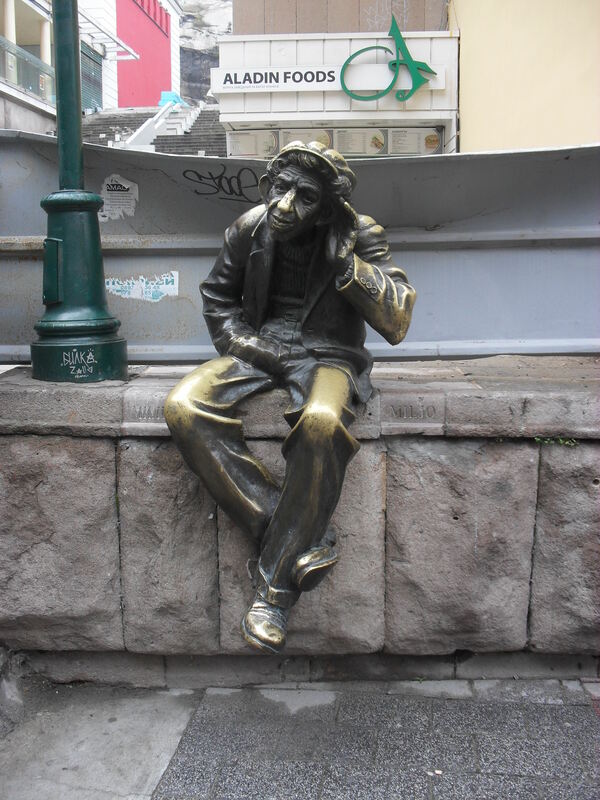 Would I have found out that the odd bronze statue by the main street of a man listening and with his hand dubiously placed in his trousers was a tribute to beloved local Miljo the Crazy, a former citizen whose mental health induced quirks made him infamous; apparently he loved to play with children on the street, chat up the women of the city, and wingman his fellow men with these women. Staue of Miljo the Crazy, fondly remembered by the people. We spent the second hour looking around the Old Town. In all honesty I’d seen very little of it, but I’d been missing out – it was full of gorgeous, quaint little buildings with their own unique style – larger on the top than the bottom, as houses had been taxed by how much ground space they took up – and painted in all sorts of bright colours. This picture doesn’t do justice to how pretty the ancient St Elena and Konstantin Church is. 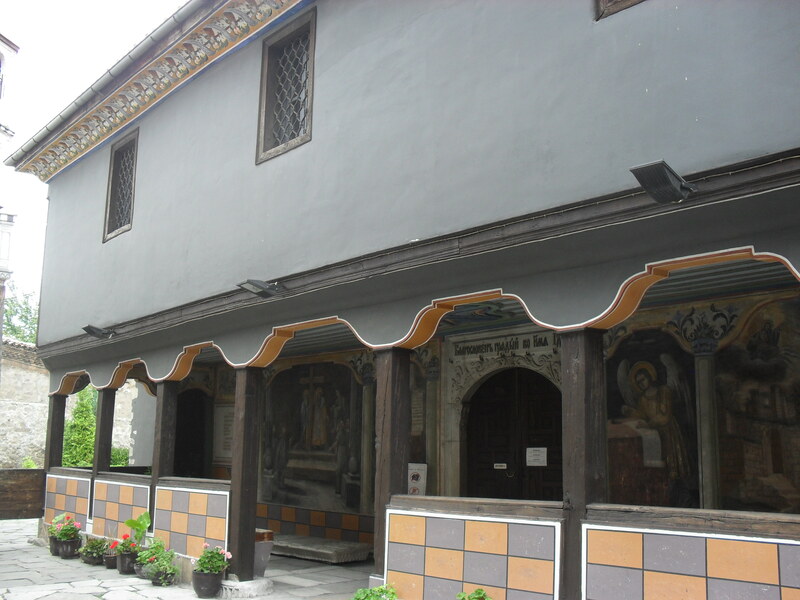 One of my favourite buildings was the St Elena and Konstantin Church. It’s hidden away from street view by a large wall – which was built during Ottoman rule to keep it a secret from the not-particularly-tolerant rulers – but is well worth seeing, with colourful frescos and intricate borders painted on the outside. Sadly we didn’t really get to see the inside as, upon opening the door, it became evident that we were gatecrashing a wedding. Oops. Pretty fresco at a former monastery. 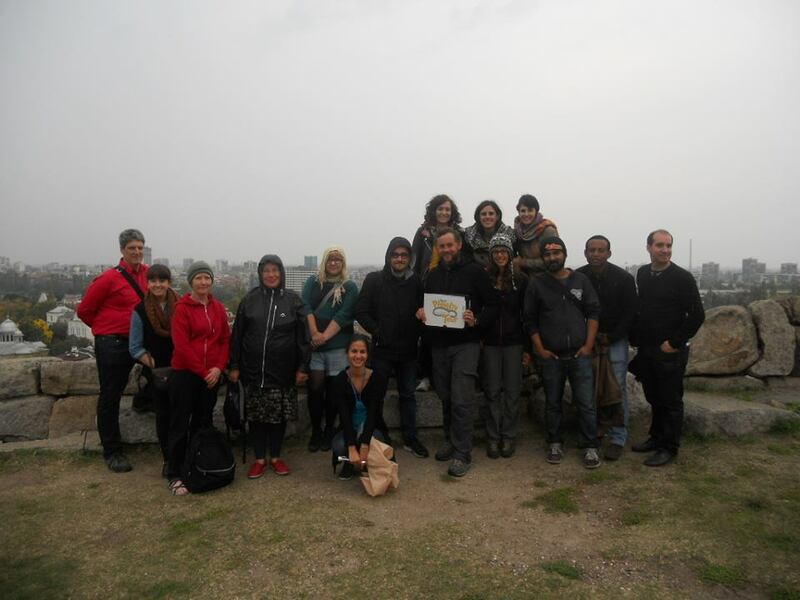 We ended the tour at the top of one of the hills, upon which there were yet more ruins (this time in a significantly worse state than the stadium or amphitheatre), and had a group photo taken in the rain (which had begun to fall quite heavily). I’d been really impressed by Adi, our tour guide, and generously tipped her for her troubles. She’s at the front in the picture; I’m standing behind her with a scarf over my head in lieu of an umbrella and some super-awkward hand positioning. I had plans to visit the Archaeological Museum once I’d had a sit-down and the rain had cleared up, but unfortunately these were disrupted by an important phone call (the contents of which, unfortunately, must remain top secret) which needed to be analysed thoroughly with certain friends and family. 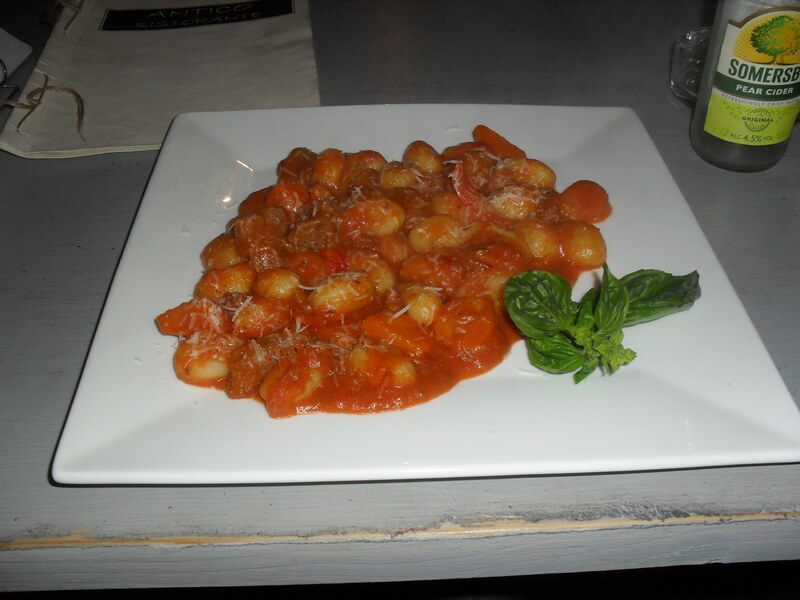 By the time this had been fleshed out, it was dinner time, so I returned to Antico and this time sampled the gnocchi with a pear Somersby. As weighed up the pros and cons of buying EVEN MORE CHOCOLATE in the confectionary aisle, Joachim Löw lookalike reappeared and timidly tapped me on the shoulder, saying something in Bulgarian. “I don’t understand,” I said. He began to point at me. Specifically: he began to point at my arse. I craned my neck around to try and see what he was pointing at, freaked out. He pointed again, smiling apologetically, but I still had no idea what he was on about and he walked off. Back at the room, with the aid of the mirror I was able to see that my tights had a small ladder in them around the back. This was the only thing of note, but are laddered tights really point-at-arse worthy? Or am I just too much of a slovenly mess to care? Most of the houses in the Old Town look like this, in a variety of colours. 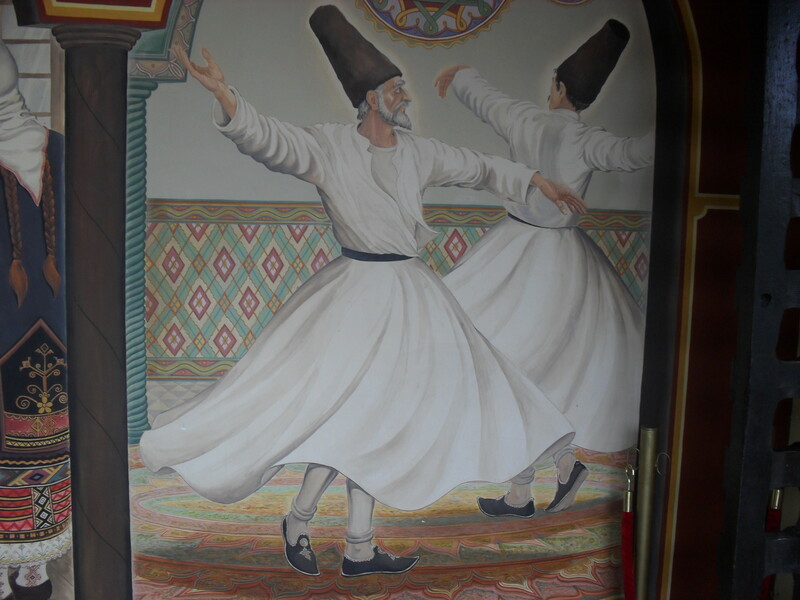 Gorgeous wall mural near the Old Town. I returned for 1pm. There was still no laundry. The hostel owner had appeared for the first time, and chatted to me about my stay. As ever introducing myself as ‘from near London’, he told me his daughter was at uni in London, so we chatted about the city while I fidgeted with annoyance that it took over a day to process a small bag of laundry. The big anti-climax here is that my laundry arrived within the next 20 minutes, I was in a taxi 5 minutes after that and made it in time for the bus. BOOM. 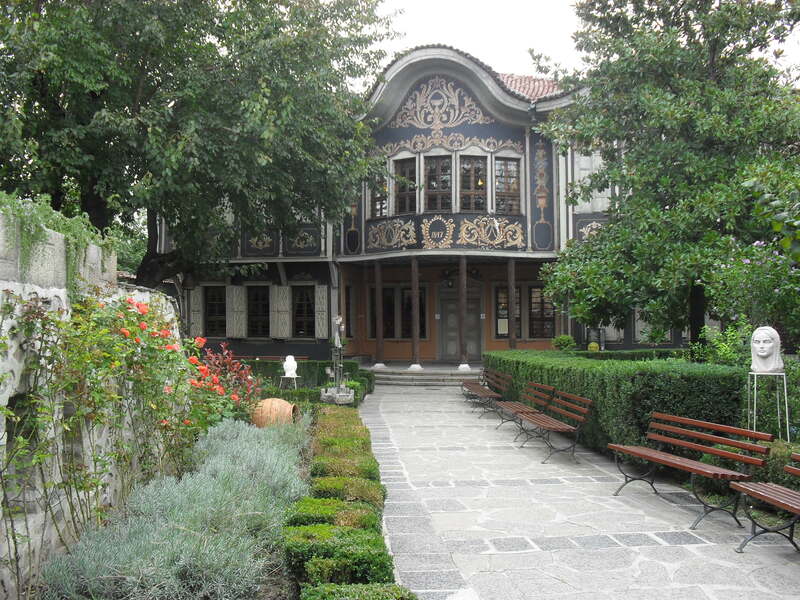 Sofia-bound and hopefully ready to arrive in time for the walking tour (run by the same company as the Plovdiv one)! 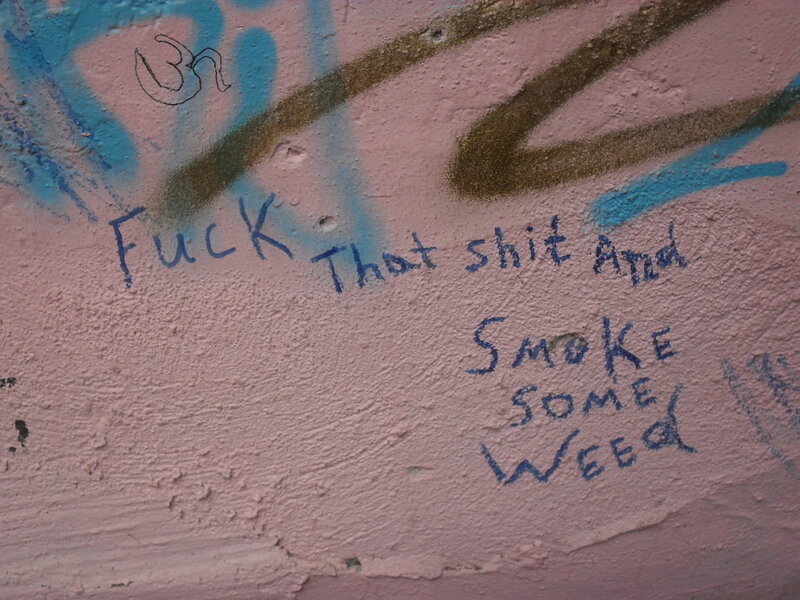 Helpful life advice on a wall near Sahat Tepe. I’ll do the Sofia round-up on the plane. It’s not like I’ll have anything better to do. 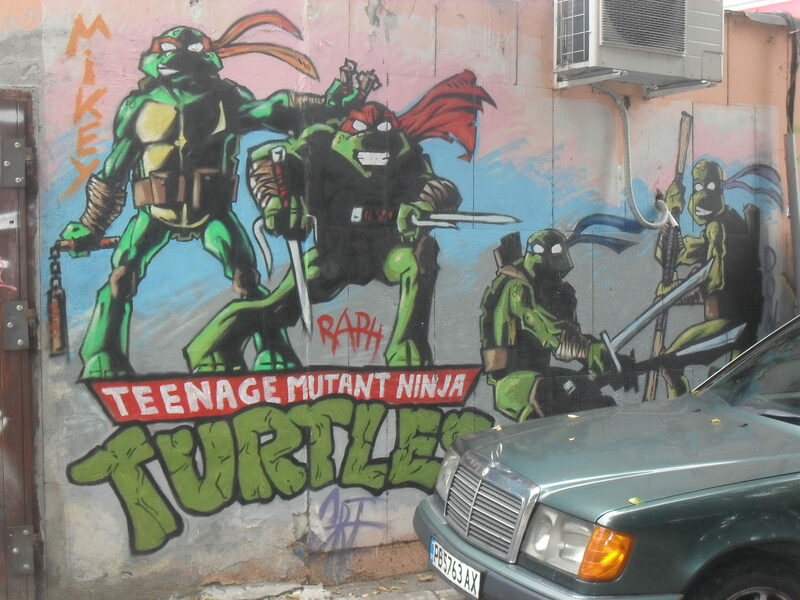 This entry was posted in Balkans, Europe, International Travel and tagged backpacking, Balkans, Bulgaria, Europe, free walking tour, Hostel Old Plovdiv, Miljo the Crazy, Plovdiv, street art. Bookmark the permalink.